Bring the boats, canoes, kayaks, jet skis, etc...there is room for them all! This 100 ft long, newly remodeled ranch has land to spare to store your boat trailer & water toys. 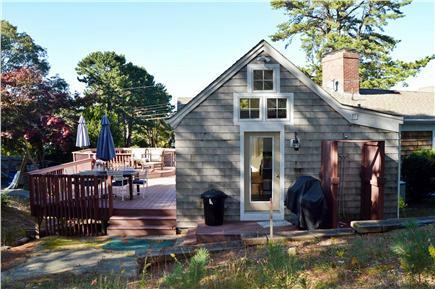 Located across from Poppy Creek & just around the corner from the boat landing, “dingy dock” & marina, you can launch your boat, store your trailer, gas up & go to all that New Seabury, Cape Cod & the Islands have to offer. 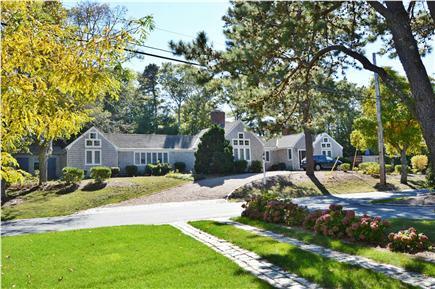 Situated on an oversized lot, Cape Cod living comes to life in this executive location. Set on a gentle knoll with circular stone drive, parking is never an issue. Entering this cedar shingled cottage you will be immediately immersed in coastal living with beachstone tile floors, beadboard wainscoting, soaring tongue & groove cathedral ceilings, rainforest massage shower, exotic hardwood flooring and Olde English cooking in a glass-walled, gourmet, farmhouse kitchen. Add a 30 ft custom octagon Trex deck with views of the waterway, a kids' bunkroom get-a-way, central air, 60” & 46'' wall-mounted LED TV with accessories and wireless internet and you have the complete package. 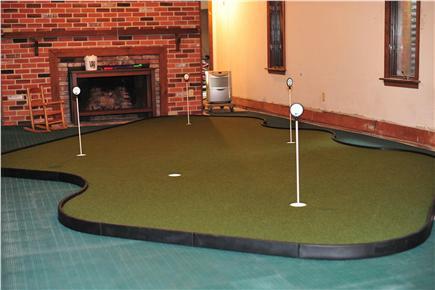 Also, there is a 12x20 foot Tour Links putting green in the basement. This vacation site is within minutes of the The Poppy Barrier Beach & Maushop Village providing for access to saltwater beaches, shopping, restaurants, biking, tennis, golf & mini-golf, children’s activities & theatre, etc. Included will be linens, towels, BBQ grill, bikes, a kayak with life preservers. 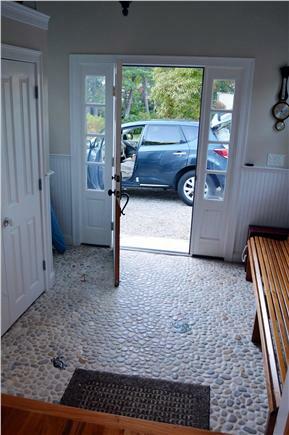 There is a public boat launch 2 miles away or you could have your boat launched at the New Seabury marina right around the corner (fee may apply). 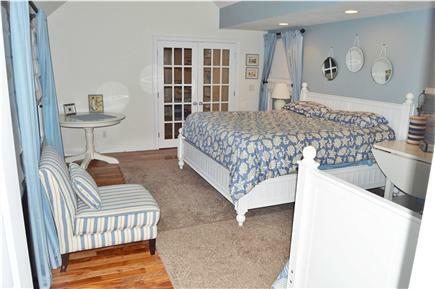 More details about the spectacular oceanfront community that is New Seabury can be found at http://www.newseabury.com/about.html. Also try http://www.popponessetmarketplace.com and http://www.mashpeecommons.com. Long-Term Rental (1 month or more): October to May for $2,350 to 2,850 per month, depending on party size and length of stay. Utilities not included. Additional pricing info: $500.00 Security deposit, $150.00 cleaning fee taken from security. State and local taxes of 12.45% will apply. 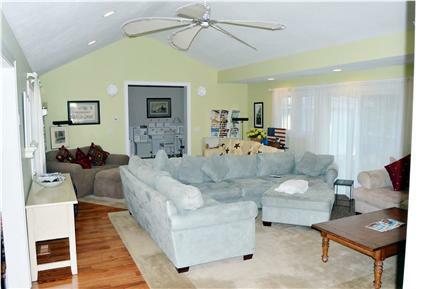 Ranch with all bedrooms, bathrooms, living room, den, kitchen and Trex deck on the same level. The house is lovely and spacious. We had one of the best weeks of the summer so we spent most of our time at the beach. However, our time spent in the house and out on the lovely deck was very relaxing. A couple of nights we used the fire pit, which is a great addition to the outside space. The kids loved the putting green in the basement! There were 8 of us staying in the house (2 families), and the living space was more than adequate for that number. 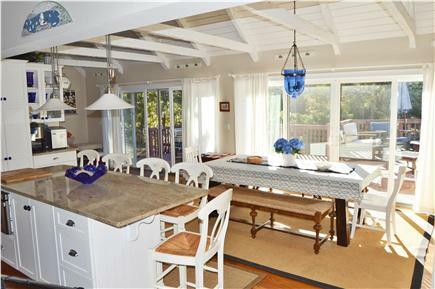 The furnishings are very nice, plenty of seating in the living room and the kitchen. The house is a bit of a distance to the beach when you're packing up for that number of people, but having all the bikes there was a plus. For those of you not familiar with New Seabury and Popponesset, once there, you don't need to leave (except for an occasional trip to Roche Brothers and the liquor store!) The Popponesset Market Place has lovely shops, a couple of eating establishments, mini golf, ice cream shop, candy store, etc. It's a bike ride away! John has equipped this house very well. He provides towels, sheets, and some paper products. He has every kitchen appliance imaginable and plenty of dishes, glasses, etc. 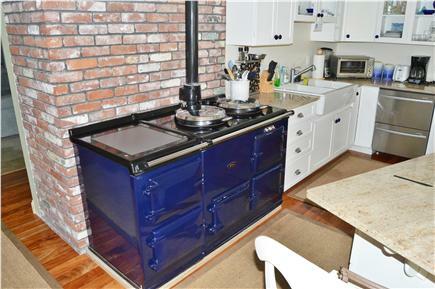 One downfall is the English stove. In order to use it, it has to be left on at all times and it really heats the kitchen up. We had to shut it off and use smaller appliances to do some of our cooking. 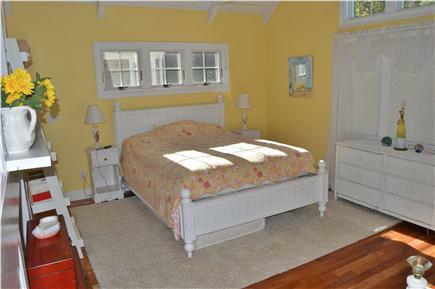 Also, a television in the second master bedroom would be a big plus. Believe me...that's nit-picking...everything else was great. 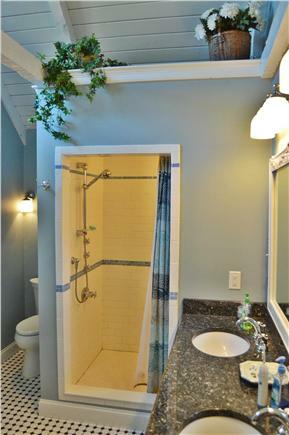 I absolutely loved this vacation rental. The homeowner John was very accommodating and immediately made us feel very welcomed. The photos online just do not do this house enough justice. The house is very spacious with plenty of room for everyone to sleep comfortably and feel like they have their own personal space. The house is set up perfectly for the adults to stay up late and not wake the kids. We spent a lot of time on the deck, and the kids even roasted marshmallows at the fire pit. John provided everything! Everything here seems so new and modern. I would definitely recommend renting this property! We had such a great time. The house is so nice and spacious. It was great for us to be able to bike to the beach and marketplace. The kids really enjoyed the putting green and poker table. The owner of the home was very nice. It was our first time renting in New Seabury and had such a good experience that i am sure we will be back!